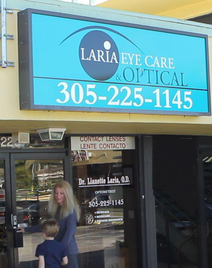 Welcome to our Laria Eye Care located in Central Miami, close to the Palmetto Expressway and 836 Expressway. Minutes from Miami International Airport! In case of emergency, call our office number above.